16 oz. 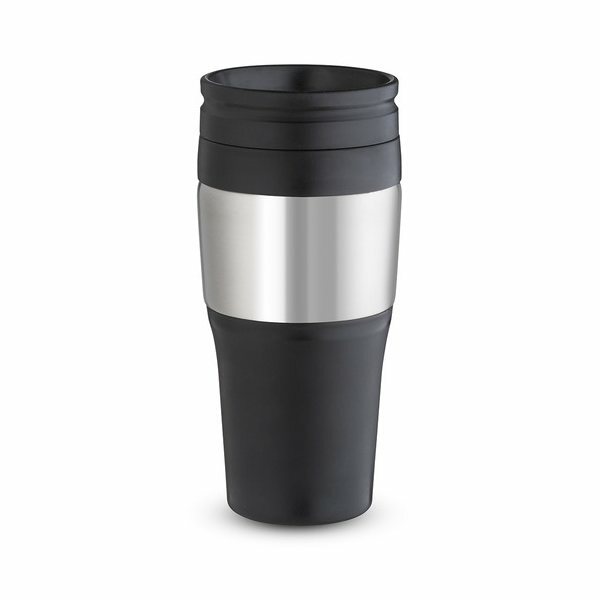 double wall insulated tumbler. Matte black and stainless steel body. Plastic twist-on lid with slide lock. Designed for hot or cold beverages; hand wash recommended, not microwave safe. Every single one of our clients enjoyed this product. Great service and an excellant product. I highly recommend it. Top quality item, specifically for the cost. They're sturdy and economical, well worth the money. Great size and looked great. We are very pleased and happily surprised at how quickly they arrived. It is awesome, but would have liked more color options.